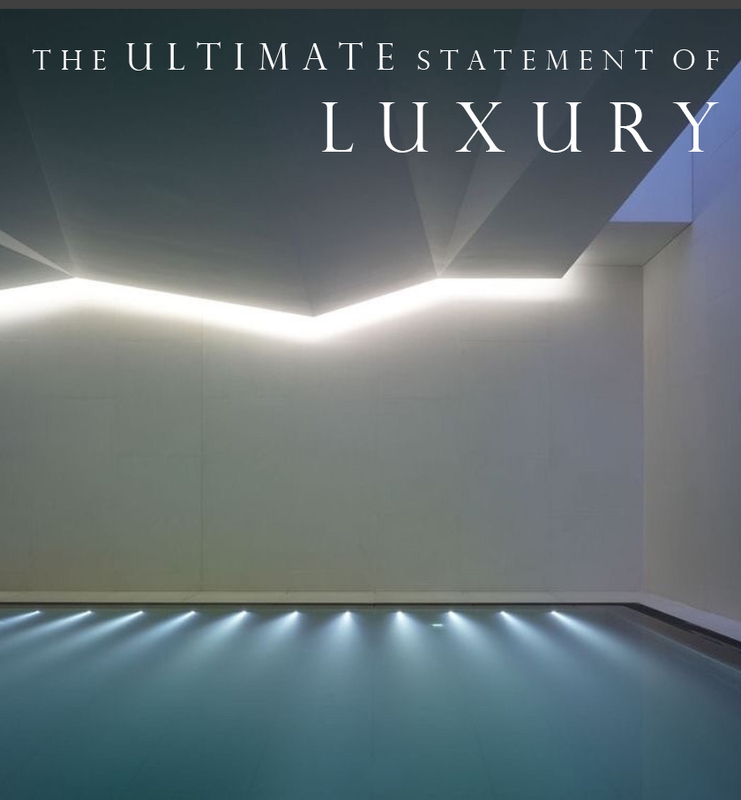 Our research shows that despite the high running costs of owning a swimming pool, people still desire this element of luxury in their homes. Using new techniques and incorporating the latest insulation available on the market we have managed to reduce those costs dramatically. We are currently working on 4 schemes which feature swimming pools and the design opportunities are endless. A number of our past developments in Nottingham have featured swimming pools, Fairmont which was completed recently has a swimming pool and sauna. We have found some of the amazing pools during our research. We love the large mosaic and how it appears through the water. Patchwork mosaics make the pool seem as though it has been crafted out of the rock face. Another pool from the Hanging Gardens of Bali a private luxury residence in Ubud. This pool has a completely different feel, the smooth curve echoing the serene tranquility of the water. An infinity edge allows the water to tumble down the sheer face of the structure an effect reminiscent of the very top of a waterfall – that fleeting moment before the water makes its way downward. Formed from strong geometric shapes. The steps around the pool align with the edge perfectly. The black glass pool perimeter is very successful. The water tint works very well with the stone choice. This infinity pool appears to be an extension of the incoming tide. A wonderful idea, enhanced with the white tiles and water colour. At Guy Phoenix we have a great deal of knowledge and experience in building swimming pools. Having installed a large number of swimming pools in our past developments and with a further 4 in progress the trend is set to continue.